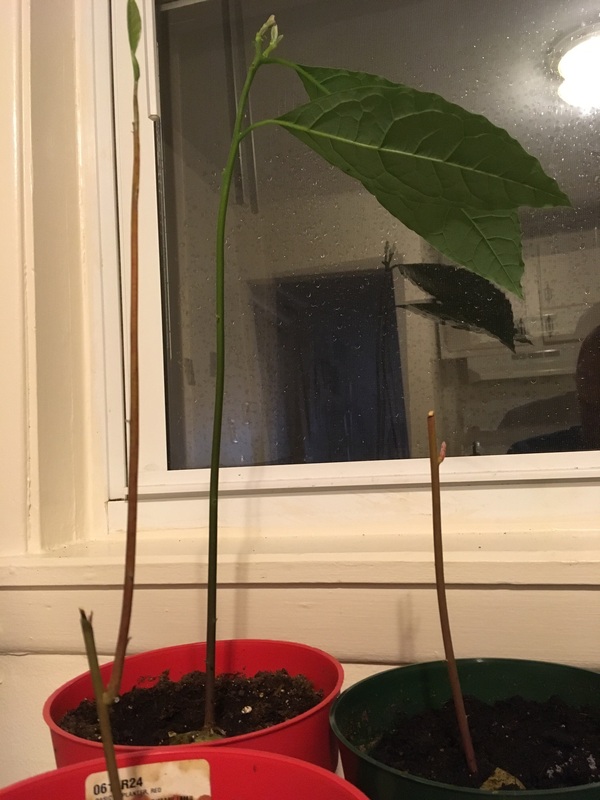 I have three indoor avocado trees that I have grown from seed (pictured). I have cut two off after they got fairly high and both have started a new branch (the one on the right has barely started its branch and the one on the left and in front has awhile ago). The one in the back I haven't cut off the stem, but I have pruned it extensively after the leaves got really big. It is now starting with some new growth at the top. I have also been picking off the leaves of the one in the front left. I don't want them to get very tall and I want them to branch out, but so far they don't like to grow leaves or branches unless it is more near the top. How can I do this? Is there any way to get the little bumps (that are present every so often up the stem) to turn into branches? How should I be pruning these trees - branches and leaves? Is what I have been doing so far completely wrong? There are a lot of questions about avocado from people with the same issue. Avocado's have strong apical dominance. This plant wants to be a very tall tree. The other factor is that when grown indoors it is rarely receiving the light levels required to put out a lot of leaf growth. When I cut back avocados grown indoors you would get one, maybe two, buds. One would quickly become the leader and the result is that the tree would look the same, only shorter. When grown outdoors in the ground you can get a multi stem tree by cutting back the main stem. If you want a multi stem plant and you are growing it indoors you need a lot more light. High pressure sodium lighting should do the job. These are used for hydroponics and should be available in your area. Not the answer you're looking for? Browse other questions tagged trees fruit-trees leaves avocado branches or ask your own question. How do I recover an avocado plant that shriveled while I was away for a week?